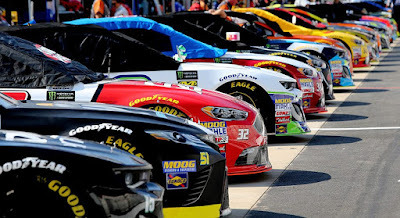 NASCAR and track officials have moved up the start time for Sunday’s Monster Energy NASCAR Cup Series race at Bristol Motor Speedway to 1 p.m. ET (FOX, PRN, SiriusXM NASCAR Radio) because of the threat of inclement weather. The Food City 500 was originally set for a green flag at 2:13 p.m. ET. That start time — and all pre-race ceremonies — have been moved up to one hour earlier. Officials reached that decision Saturday morning, faced with an 90 percent chance of precipitation in the race-day forecast at the half-mile Tennessee track, according to the National Weather Service.